Specialised services include Tail Lift facilities plus same day Express Deliveries. We also offer Exhibition Services throughout the UK and Europe. 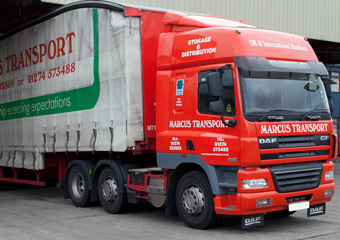 Marcus Transport MARCUS (BRADFORD) LTD was formed as a Road Haulage Company during 1973, a small family operation using one Transit Van. Expansion has been well planned with gradual and steady progression to ensure that standards have been maintained. The company now operates a fleet of well-maintained modern vehicles throughout the UK mainland. Specialised services include Tail Lift facilities plus same day Express Deliveries. We also offer Exhibition Services throughout the UK and Europe. Our aim at Marcus (Bradford) Ltd is to continue with a well-planned structured growth, enabling us to continue improving on our present capabilities.